I live in Arizona! Love it! However, this past week has been a challenge for my A/C system. But, when I get frustrated I think back to my days growing up in Chicago with the snow, sleet, below zero weather, icy wind and avoiding snowball attacks. Still, happy memories. Chicago will always have a special place in my heart – The Museum of Science and Industry, Riverview Amusement Park, Wriggly Field, Chicago Theatre, Paradise Theatre and riding the El Train. Great memories. As for my writing, I’m moving forward with ‘Patrick and River’. Soooooooo much research! But what fun! I’ve seen great pictures of Cessnas, the Snake River, The Paiute Native American Tribe, horse tack and tree/water moss. Lots of beautiful images. River is having some second thoughts about his trek from Dawson City to New Mexico, has lost his horse and is beginning to come to terms with the woman who raised him. I look forward to spending time with these characters each day. My novel ‘Regardless’ is doing well on Amazon. Lots of interest in the way of downloading free books and in Kindle pages read, along with good sales. What everyone seems to love is the characters and I love hearing that. I’ll close today with ‘There are no uninteresting things, there are only uninterested people.’ A quote from Gilbert K. Chesterton. At long last, I have republished ‘Regardless’. It is available at Amazon.com as both a print and ebook. 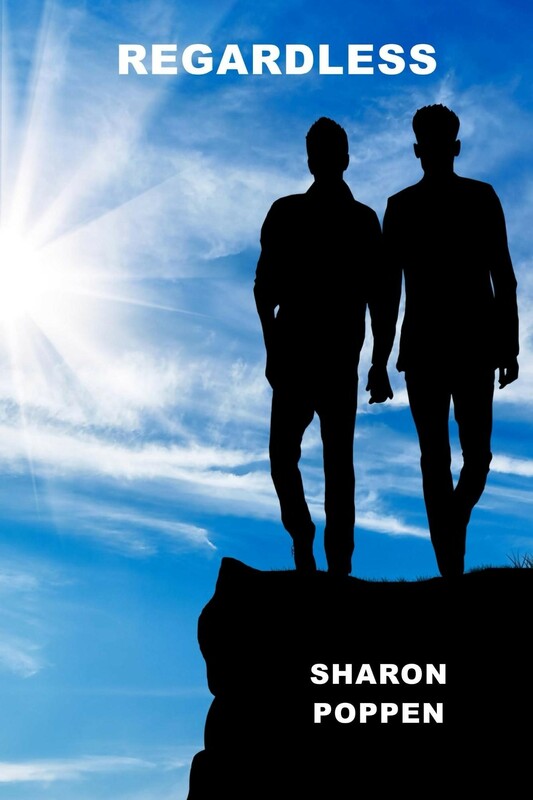 This gay/sci-fi novel tells the story of two people who fall in, but shouldn’t. 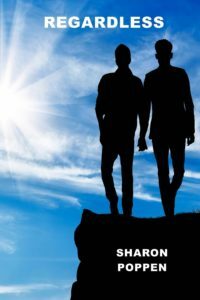 The book takes the reader to places across the universe as the two men deal with how their relationship affects their family, friends and careers. Summer has arrived here in Lake Havasu City. Many folks are complaining about the heat. Yeah, it’s hot, but to this Chicago girl it sure beats snow, sleet, ice sheets, below zero temps and let’s don’t forget the wind. So, yeah, it’s hot, but got to love the A/C. I’ve left the writer’s group I’ve been with for years. As my writing as progressed, I find I enjoy writing novels rather than short stories. I have found a group of just six writers who are focused on writing fiction novels. We will keep the group at six members and meet once a month to critique a chapter of each other’s work. It has been a blessing. The backgrounds of all the writers, 4 women and 2 men, are so varied that the validation/conflict of any research our novel requires is widespread. My latest motivational quote is from a movie called ‘Home Run’. One of the characters tell a young boy who is at bat in his little league game that, “Nothing great happens when you hold back!! !” Soooo true. I will be at Scoops Ice Cream Parlor, 2014 N. McCulloch Blvd, in Lake Havasu City from noon to 3 p.m. I will have copies available of the entire series that takes the Farrell family through many generations from those of the Civil War era, through the dawn of the 20th century, World War II and the wild 1960s. ‘Peace by Pieces’ takes this generation out into the world of space exploration. Hope to see you there! Oh, and Scoops ice cream and crepe selections will amaze you!!! This weekend, Feb. 11th and 12th, is WINTERFEST weekend here in Lake Havasu City. If you are strolling up and down McCulloch Blvd. checking out the amazing array of vendors on Saturday or Sunday, between 9 a.m. and 5 p.m., be sure to stop by the LAKE HAVASU CITY WRITERS booth. Their booth is at the corner of McCulloch and Mulberry. Treat yourself to some amazing books, both fiction and non-fiction, written by local Havasu writers. I’ll be there both days, so be sure and stop by and have a piece of candy. See you there! Debbie Hilbish, a dear writer friend of mine, drove into town with her mother, Joanne Brunet, for a visit with me today. She is such a talented lady. She is a very expressive prose writer, but it is her poetry that really gets to your heart. I met her in Quartzsite, AZ where she coordinated a book sellers market place the Reader’ Oasis Bookstore owned by the original and unique Paul Winer. Debbie is one of the most positive people you will ever meet. She brings sunshine into every corner of the room, of every area she visits. And, she loves my books. We had a fun time today talking about the characters and plots of the first three books of my Farrell Family Saga books. Her positive comments were so appreciated coming from a woman who can use words to depict human emotion like no other person I have ever read before her works. Just as a side bit of information, her mother is the creator and curator of a wonderful collection of gum displayed in her gum museum in Quartzsite, AZ. Joanne and her sister began collecting the gum as-children and now she has thousands. Her husband built the building where the gum is displayed and a visit to her museum will surely bring back so many memories. If you are ever in the area, it’s worth a visit. These two ladies are the kind of friends that when you are with them, there is just so much to share, to learn, to laugh about and maybe even a few tears now and them, that there is never a moment of silence. When they leave there a genuine, love-filled hugs amid a sense of continuing friendship, along with sadness at their leaving. Wonderful people that I’m blessed to have as friends. Their visit and friendship led to remember this quote, “A friend is a person with whom I may be sincere. Before him, I may think aloud.” Ibid. 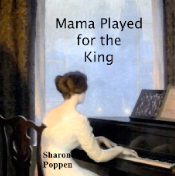 Received a review today for Mama Played for the King. The reader said she really enjoyed the book and all the trauma the family went through. And, best of all, she said will be reading more of my books. All of that is music to my ears. Getting feedback, good or bad, is a challenge to the writer to analyze what was said. Writers needs to verify that the positive comments are validation and that they are on the right track for effective fiction writing. Or, if the feedback is negative, to assess and check for an area of their writing that needs work. Either way, the writer is lucky to have that information as they work on their current writing. I’m working on some critiques of my writing from several fellow writers. Their praise or their suggestions for necessary adds/changes/deletes are so very valuable and have helped me improve my writing skills over the years. Yet, there is a difference in how a reader versus a fellow writer sees the writing. Sometimes a fellow writer will suggest changes that portray their writer’s ‘voice’ versus your own writer’s ‘voice.’ A good writer can be identified early in their novels by their writer’s ‘voice’. No writing today. Instead, I spent the day traveling over to Needles, CA to visit my Dad’s grave. Actually, he was my step-father, but in the words of Brad Paisley’s song – ‘He was the Dad he didn’t have to be.’ My mother married him when I was nine. Although he was not the type of man to hug and kiss his children to show his love for them, there was never a doubt that he did and that he was always the ‘go-to’ guy for any problem. I only remember him hugging me once. I was in my late 20s and had two kids. It was Christmas Eve and we were watching my kids and my young brothers and sisters open their presents. I was standing in the hallway door watching the kids as they tore into their gifts. All of a sudden, I felt an arm around my shoulder. My Dad gave me a quick squeeze, then said, “I’m very proud of the woman you’ve become, Shari Ann.” It lasted only a moment, then he was off into the living room telling the kids to start cleaning up the wrapping paper and ribbons mess. But, that moment meant the world to me. He passed away at age 69 from the big C. Way too young! Now, every year around the date of his birthday and during the Christmas holiday, I buy a can of Pabst Blue Ribbon Beer and drive over to ‘chat’ with him. I pour some on his grave and take some sips myself as I tell him how much he is missed by me and all his kids/grandkids and that we hope he had been rewarded generously where ever he is now. I also put a quarter on the headstone. He loved to play Keno at the casinos, so I leave the quarter as start-up money should he find a Keno machine where ever he is.